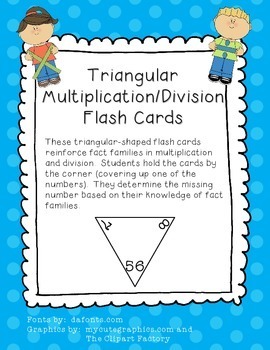 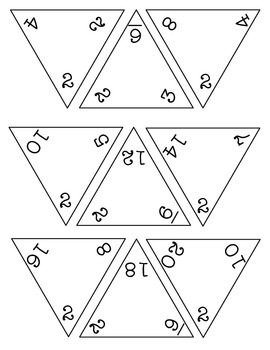 These triangular-shaped flash cards reinforce fact families in multiplication and division. 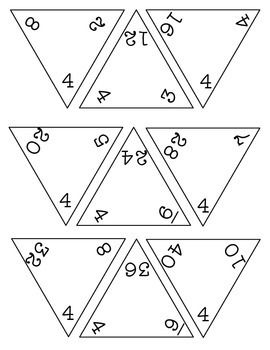 Students hold the cards by the corner (covering up one of the numbers). 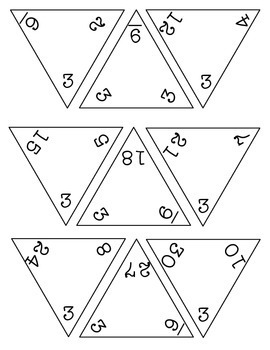 They determine the missing number based on their knowledge of fact families.